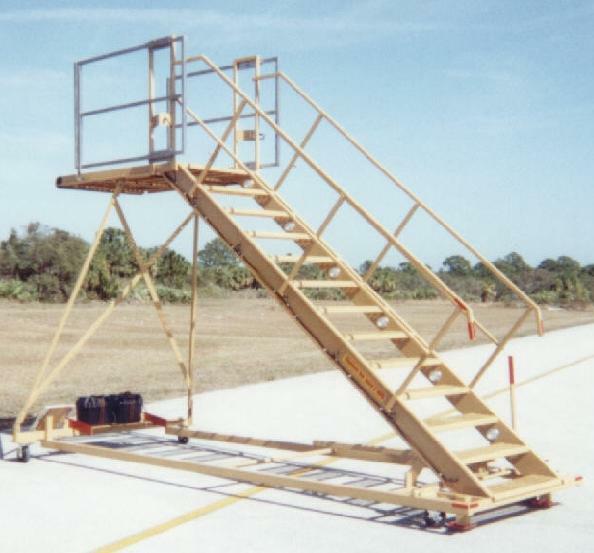 The Phoenix FCS104 Fixed Crew Stair is a lightweight stair for accessing aircraft for crewmembers. The FCS104 can be maneuvered by one person and has an easily controlled braking system. The FCS104 has adjustable handrails to allow for aircraft door opening and a non-marring front bumper. The stair treads are galvanized gripstrut . The FCS104 is designed for ease of maneuvering and also can be easily collapsed for shipping.